Smoothies are super easy to prepare plus they are a great way to get breakfast on the run. When I make my breakfast smoothies they are gulped down sooo fast and all at once, hardly a breath taken. Now this would not be good for me if it were a solid food option. But cause it’s blitzed up into its wonderful liquid form my body says it’s all good. 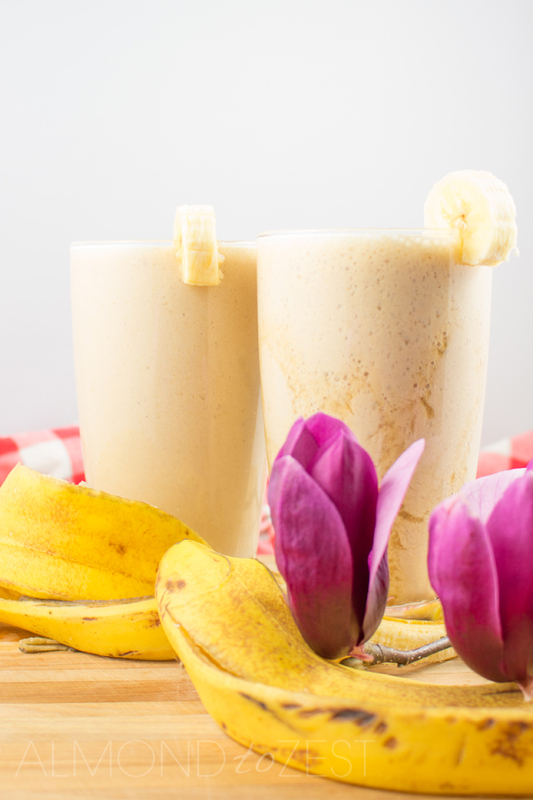 This smoothie recipe is simple and packed full of cinnamony goodness. Place all ingredients into blender and blend till smooth. Pour into 2 large sized glasses.